Powerboat sales Ltd can supply the commercial user a wide range of options to suit your requirements, so whether you need a boat for rib rides, fish farms or a RYA training centre, we can build the boat for you. 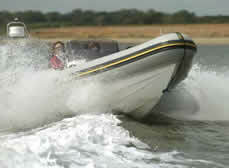 All RIB’s supplied from PBS Ltd to the commercial market are based on the Humber range of RIB’s. Humber is the UK’s leading RIB manufacturer with the most extensive range and over 11,000 craft built to date. Humber RIB’s are renowned for their unique high performance deep v hull designs, which have an enviable reputation for their outstanding sea keeping capabilities, excelling in adverse sea states. The RIB for UK waters. With their many years of RIB knowledge and the experience of PBS Ltd, we can offer expert advice on model selection and RIB consultancy with impeccable outstanding after sales service.